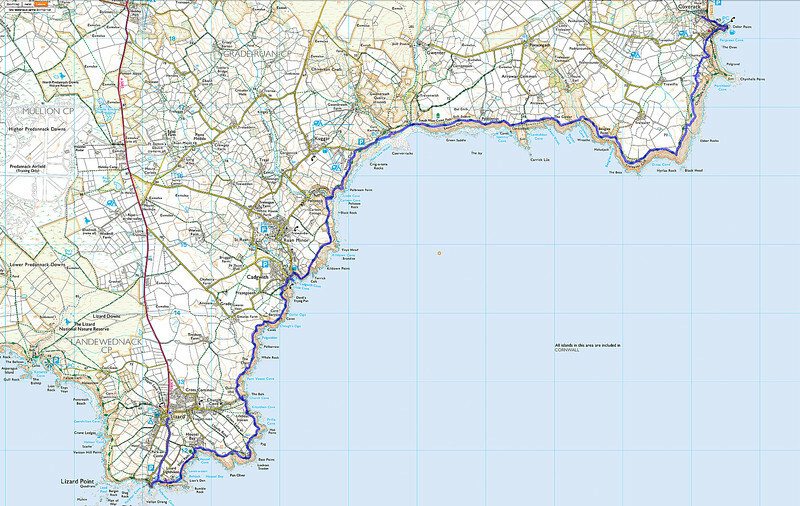 Today's route as recorded on my phone. 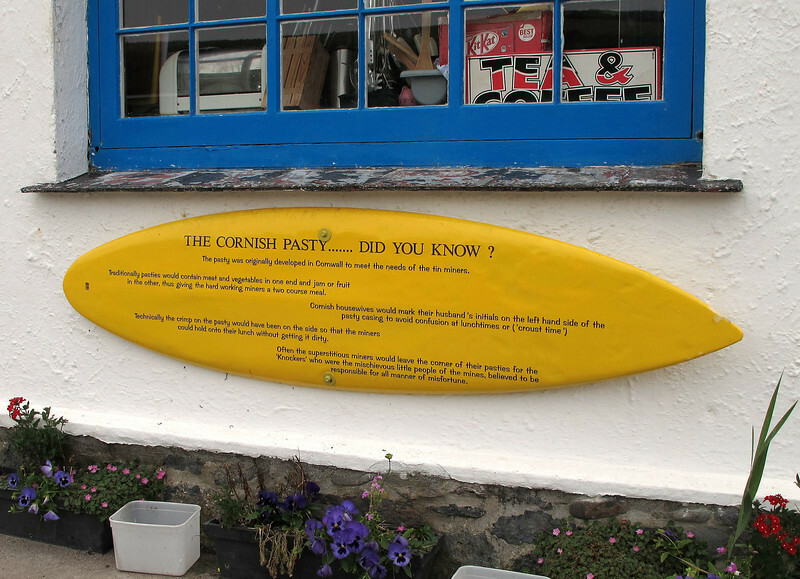 Too early for a cream tea just yet, I suppose? 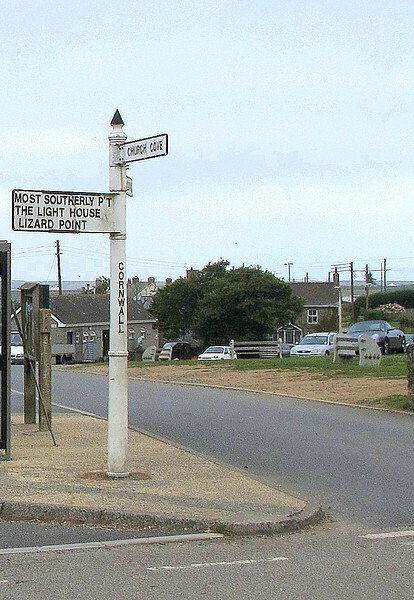 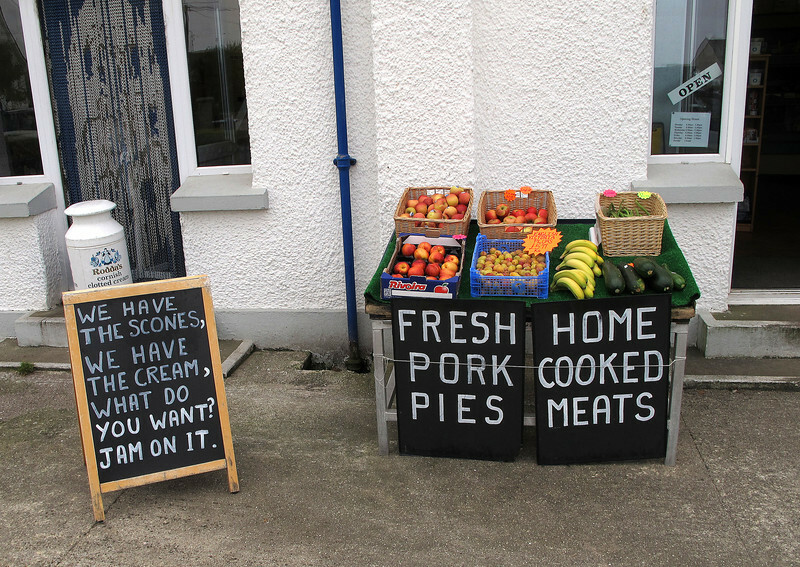 The starting point in the middle of the Lizard. 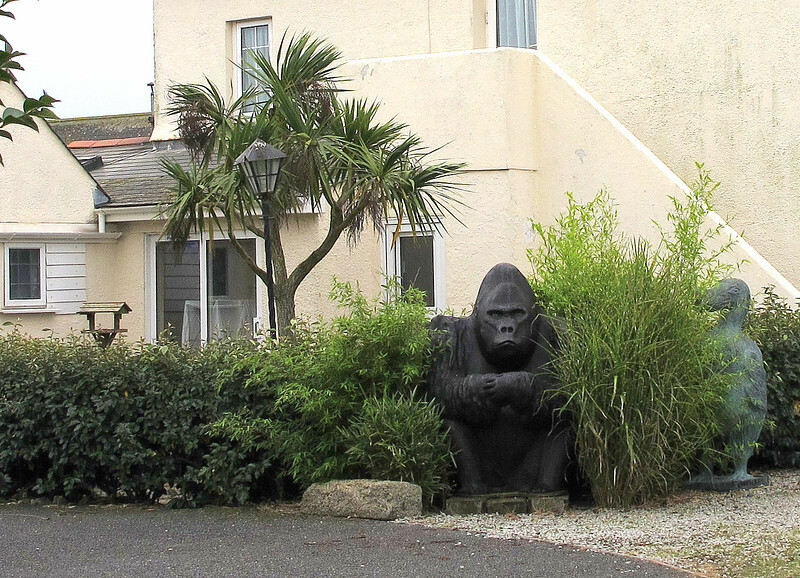 My car looks lonely already. 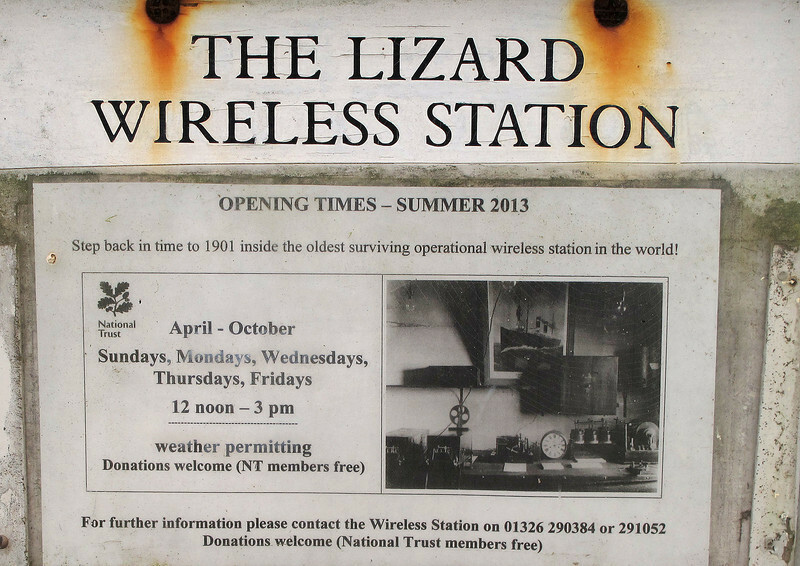 Seen in a Lizard garden. 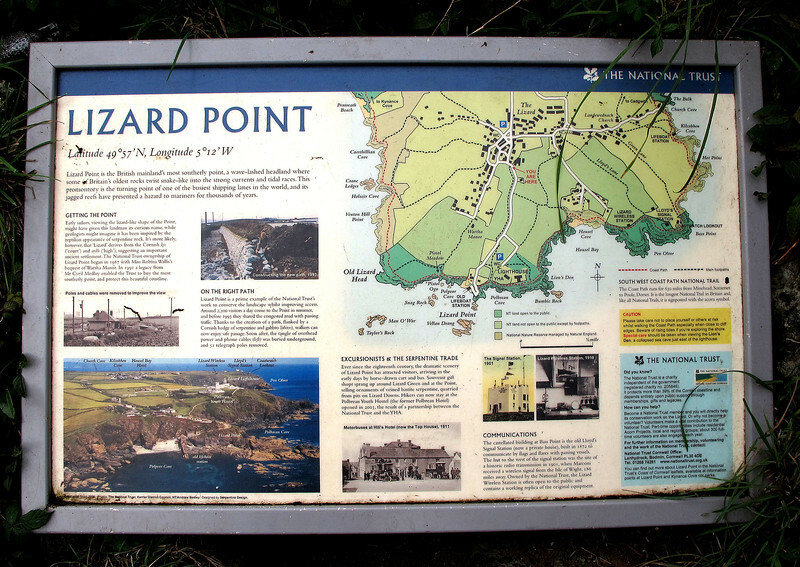 After a quick visit to the most southerly point of mainland Britain, it is off along the coast path. 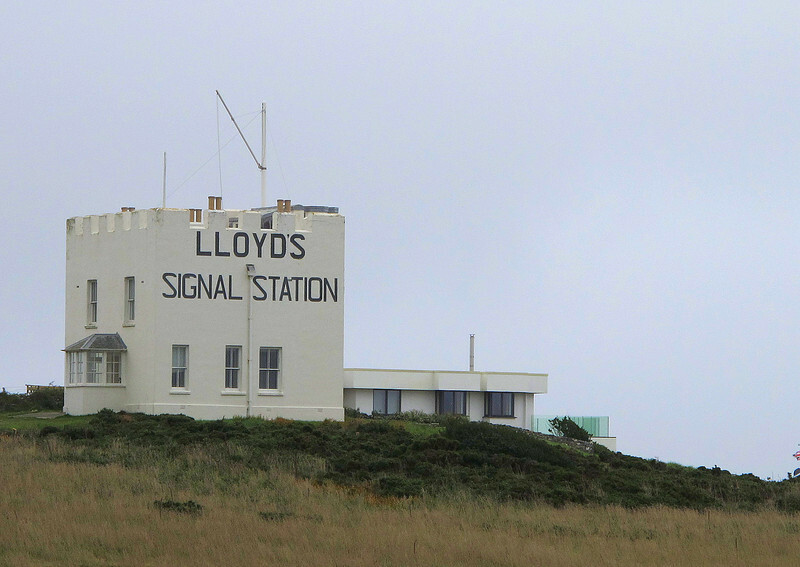 Close to Lizard Point is the Radio Station, the oldest operational radio station in the world. 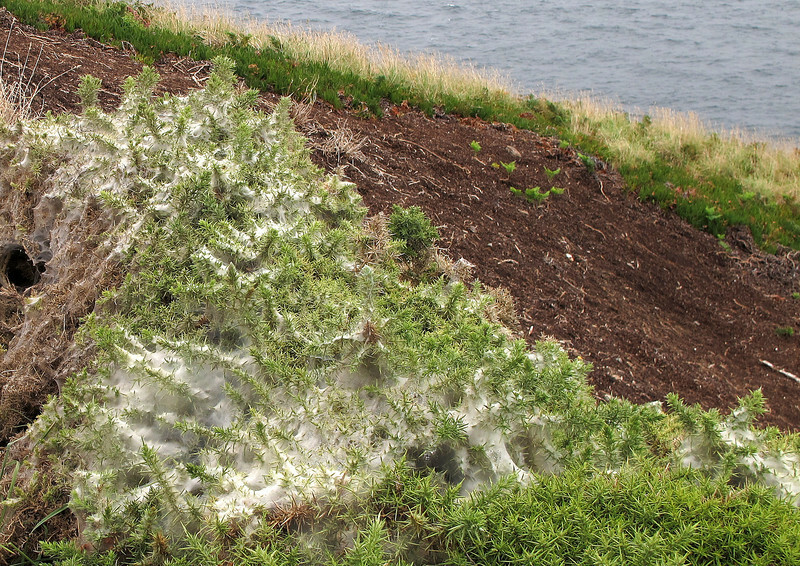 Webs formed by Ermine Wasps smother a gorse bush. 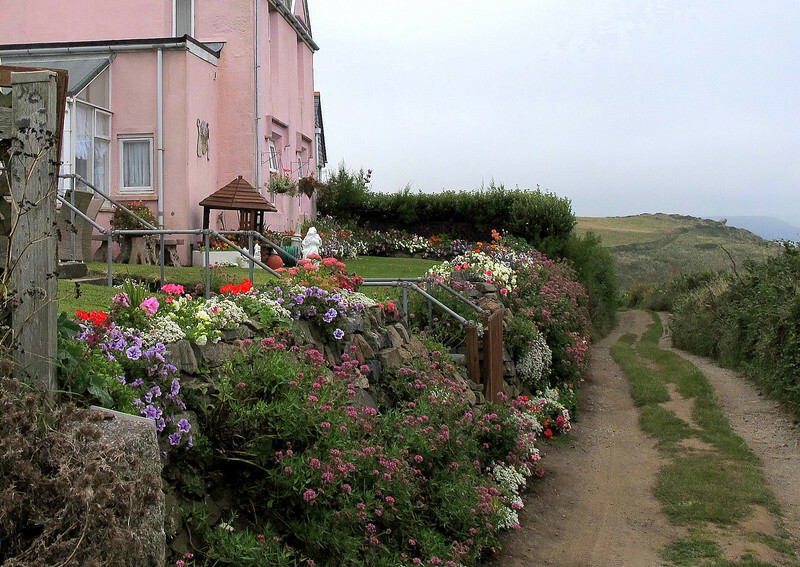 A beautiful garden border adds a splash of colour. 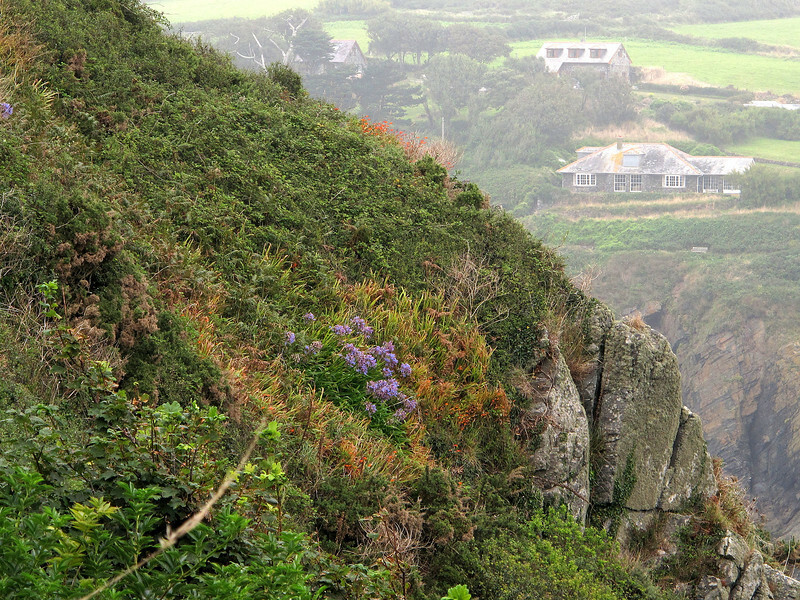 Agapanthus (blue) and Montbretia (orange) grow wild on the cliffs and paths. 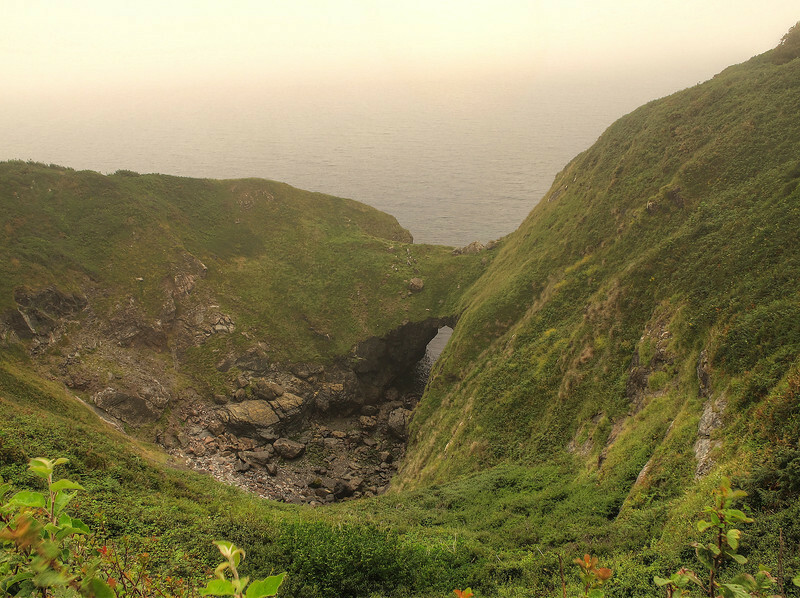 A collapsed sea cave at The Devils Frying Pan, Cadgwith. 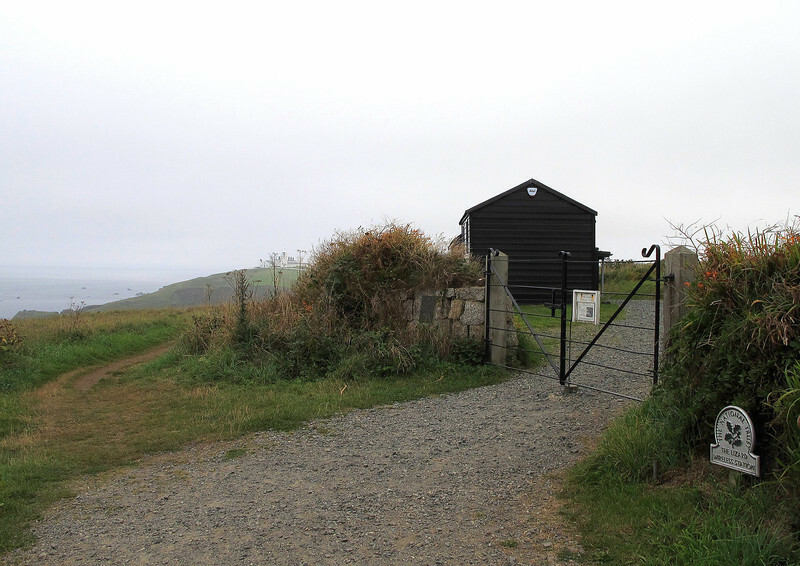 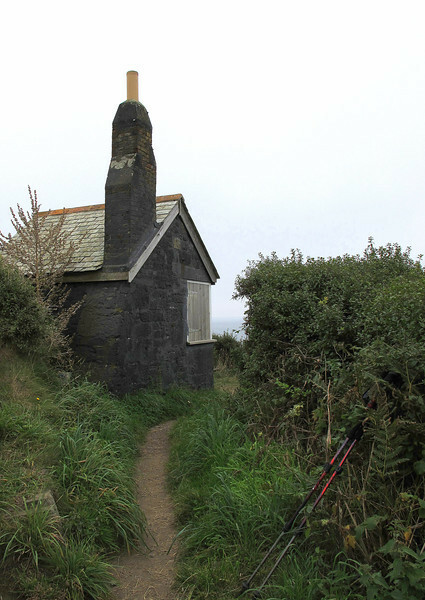 Th 'Lookout' at Cadgwith, once a Huer's Hut and Coastguard lookout. 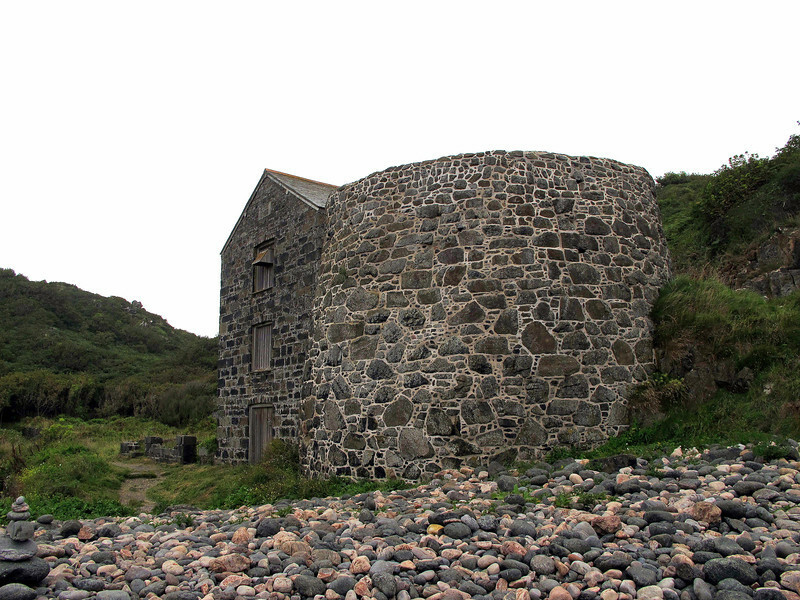 The old Serpentine works at Carleon Cove. 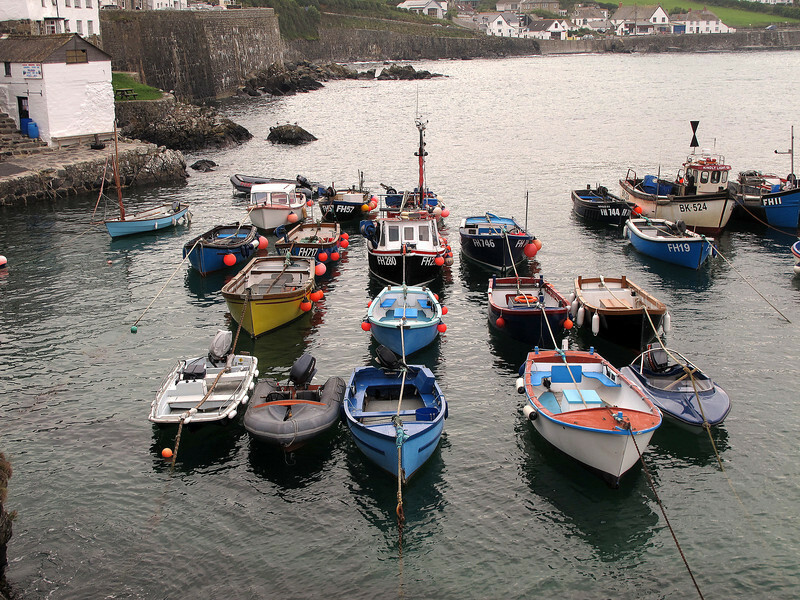 A previous visitor had been busy - Carleon Cove. 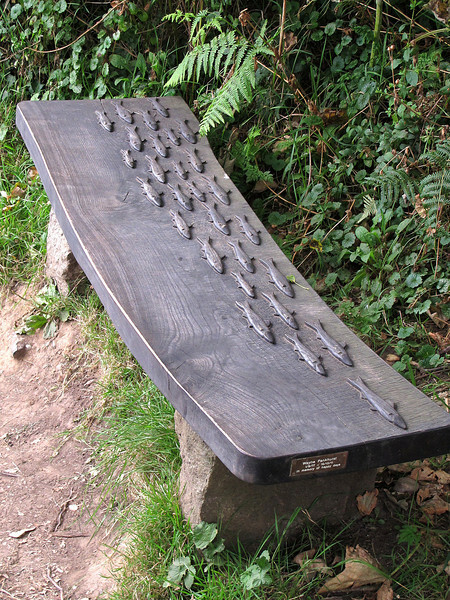 A charming memorial bench near Carleon Cove - it looks as if the fish were carved out the solid, not fixed on afterwards! 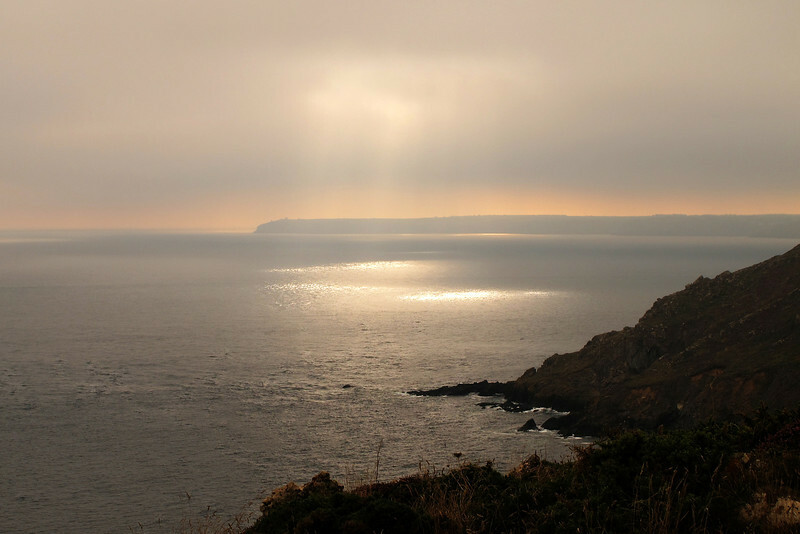 The sun searches for holes in the cloud. 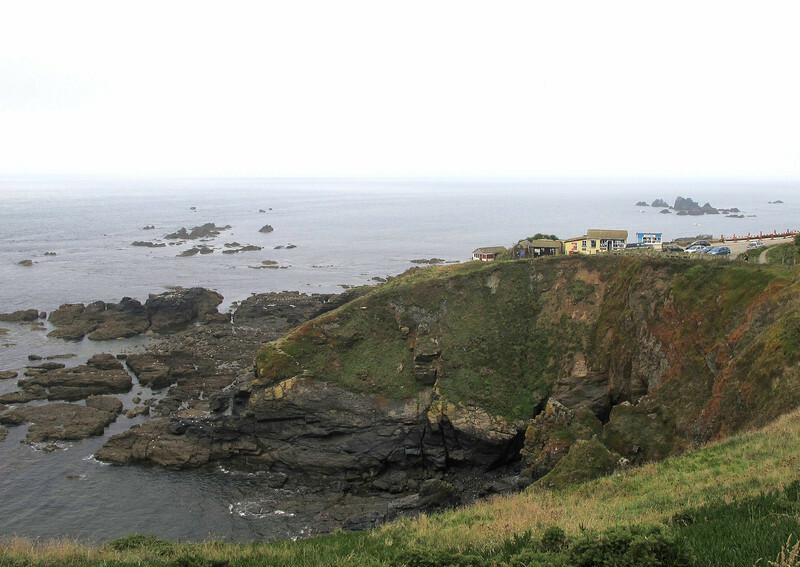 Looking back to Lizard Point from Black Head. 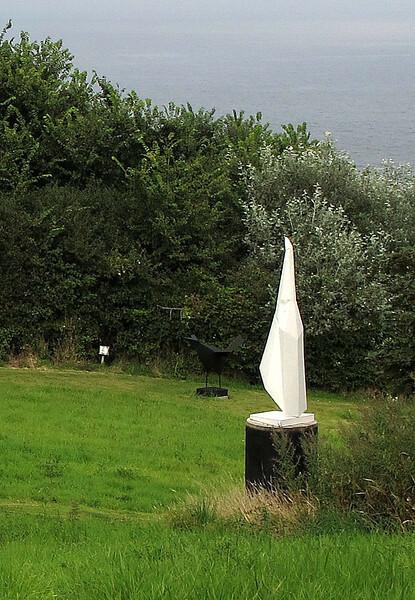 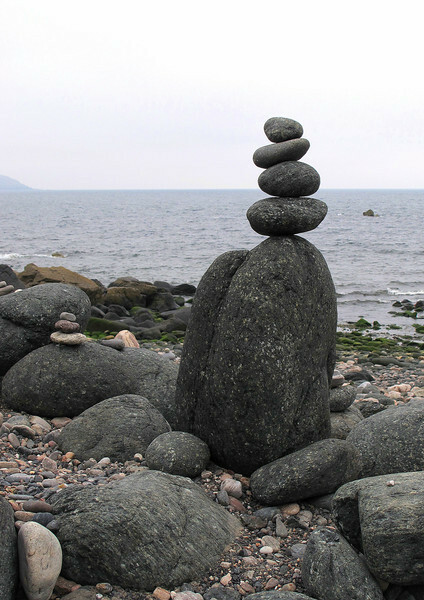 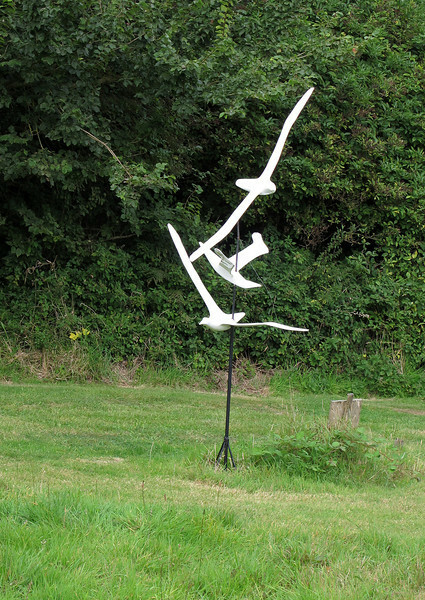 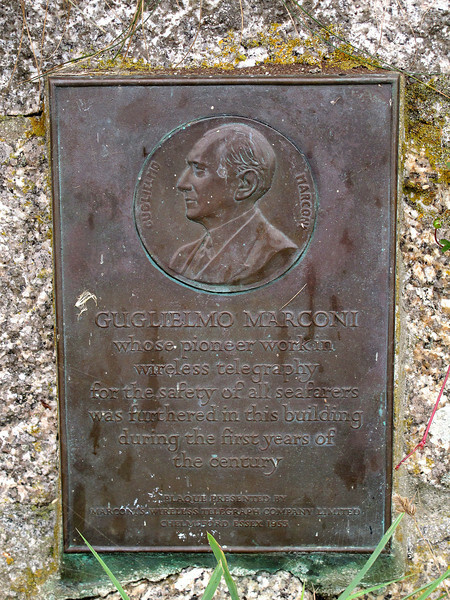 The path near Coverack has been diverted due to a cliff fall and now passes through this exhibition of sculptures by Terence Coventry. 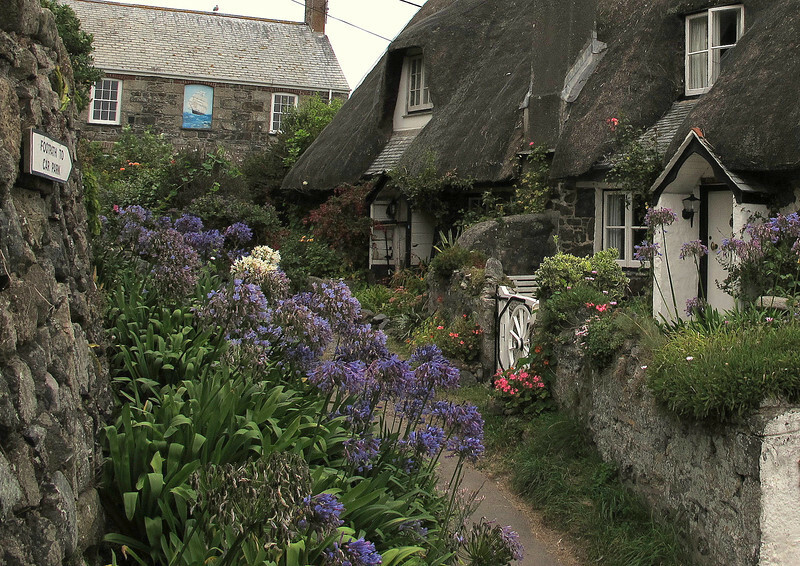 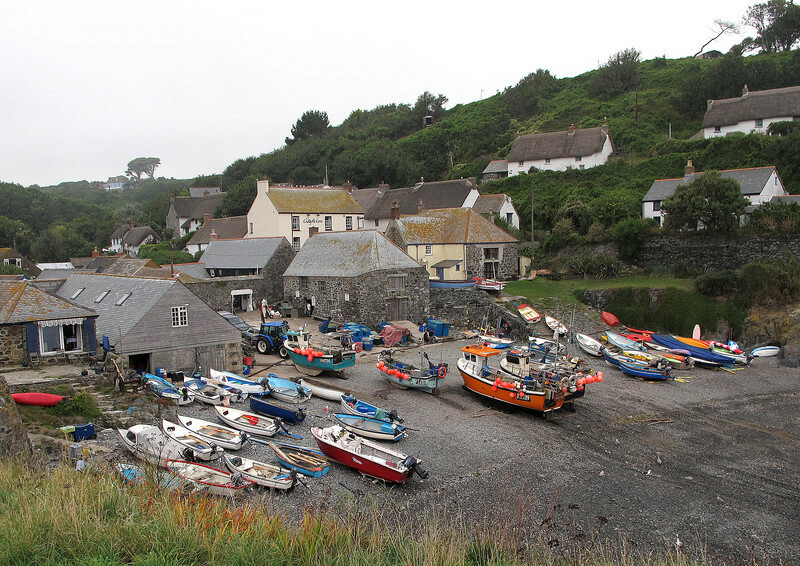 Coverack, today's destination, with its small picturesque harbour.